In what we are sure will be music to the ears of all inside Apple, the market for wireless earphones has grown throughout the past year according to research firm Slice Intelligence. 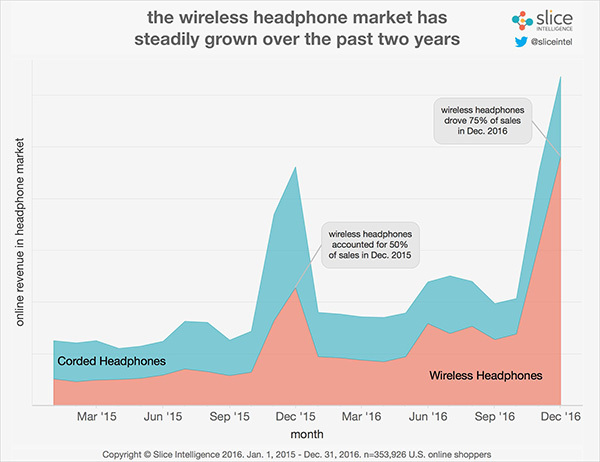 Across the United States for the past month, the firm reports that wireless earphones accounted for no less than 75% of sales, which is a dramatic increase from the 50% witnessed during the same period in 2015. That isn’t where the good news ends for Apple though, because its newly released AirPods truly-wireless earphones are very much part of the reason for such an increase in wireless earphone sales. 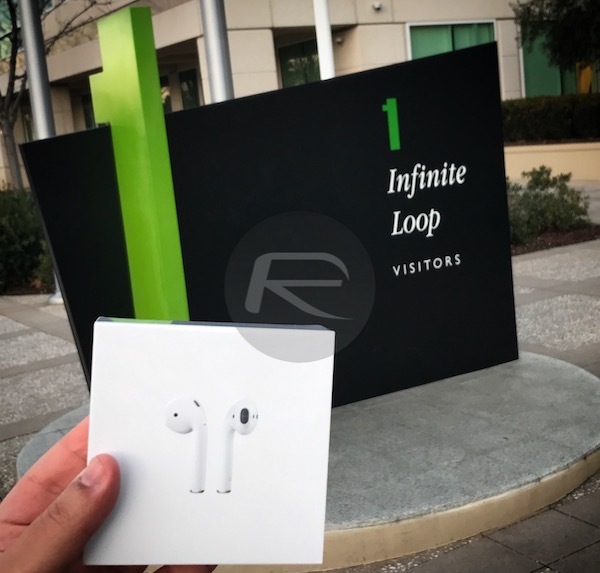 According to Slice Intelligence, AirPods accounted for a full 26% of all wireless earphone sales since their launch on December 13th, giving weight to CEO Tim Cook’s recent claims that the product has been a “runaway success.” In fact, the AirPods ousted Beats as the most bought wireless earphones during that period, and with both products now owned by Apple, it’s fair to say the company is the major player in the wireless earphone market right now. So who exactly is buying Apple’s new earphones? Slice Intelligence has the answer. Taking a closer look, data shows that male buyers are younger than their female counterparts. Over one-third of the men who bought a pair of AirPods were Millennials. Among female buyers, Boomers are the largest population, with a share of 38 percent. Slice Intelligence’s data comes from receipts that are generated rather than web browser data, so the company is confident that its numbers are more accurate than those offered by competing research. Regardless of all that, one thing is clear: Apple’s AirPods may have been delayed a couple of times, but now that they are here, they are certainly making an impact in the market. So how many units did they actually sell? The graph is in revenue from sales, and not in units.